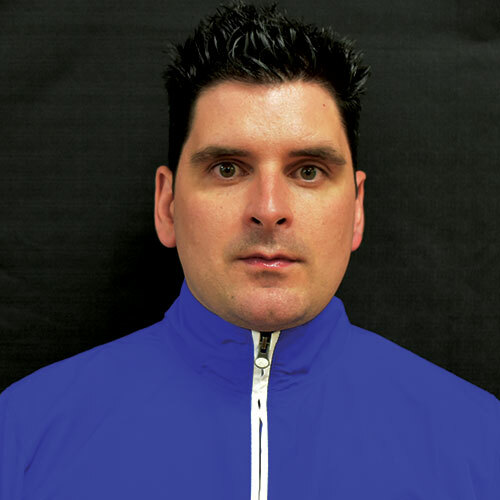 In order to ensure that Alberta’s goaltenders, and their coaches, are properly equipped for the best performance possible in this specialized position, Hockey Alberta has worked with Hockey Canada to develop the Canadian Goaltender Pathway, and a Provincial Goaltender Development Plan. 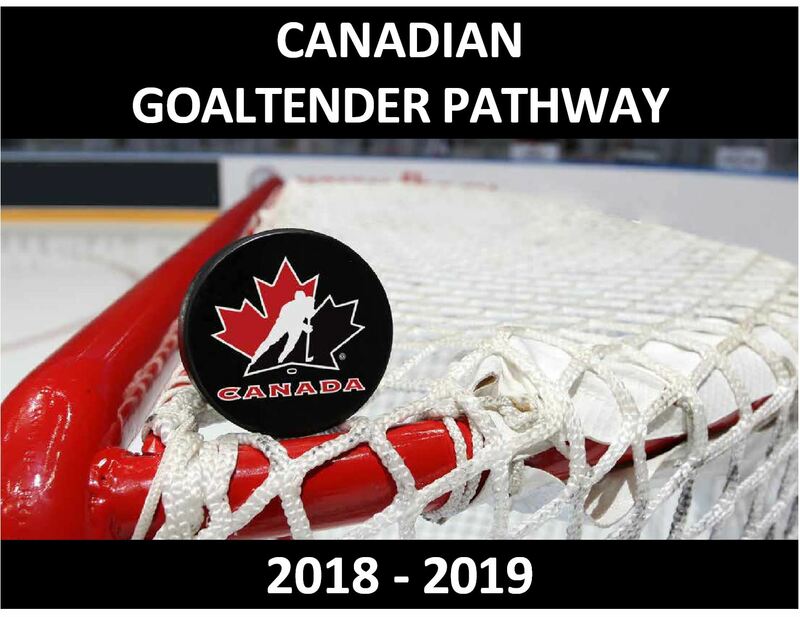 The Pathway and Development Plan feature a multi-pronged approach to ensuring that goaltenders receive direct and consistent coaching and guided skill development so that their experience in the crease is a positive one. A focal point of the Pathway and the Provincial Plan is to develop the knowledge and expertise of coaches, both regionally and within individual associations. 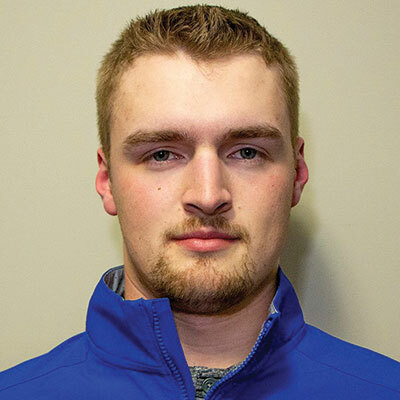 The other prong involves providing goaltenders with specialized training opportunities, where they can work with other goalies as well as some of the most experienced goaltender coaches in the province. The Canadian Goaltender Pathway document includes the Hockey Alberta Provincial Goaltender Development Plan, and can be downloaded by clicking on the image below. 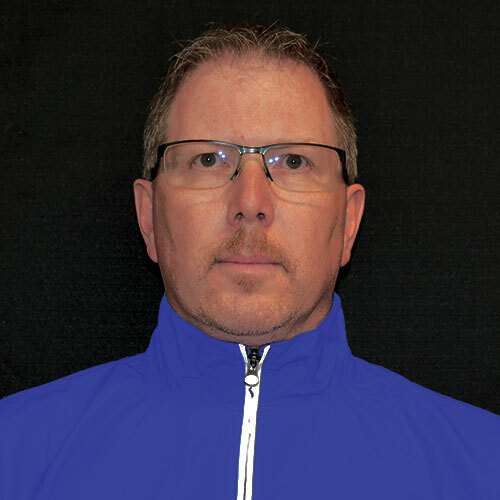 Hockey Alberta is welcoming each Minor Hockey Association to send their local Goalie Leaders to the inaugural Goalie Coach Seminar, hosted in Red Deer on May 25, 2019. This opportunity is designed to help educate and support our multitude of goalie coaches as well as associations. 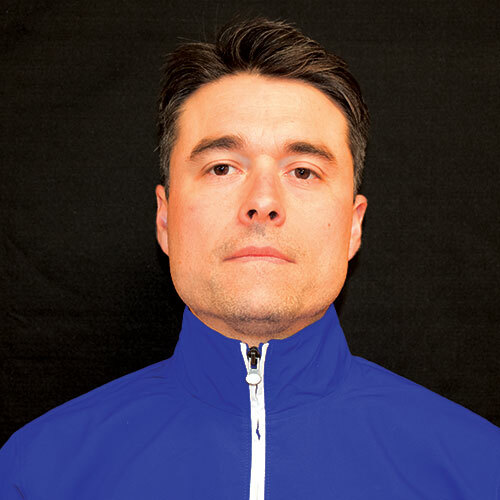 Those in attendance will learn technical and tactical strategies for both on-ice training as well as off-ice support based on Hockey Canada and Hockey Alberta philosophies. 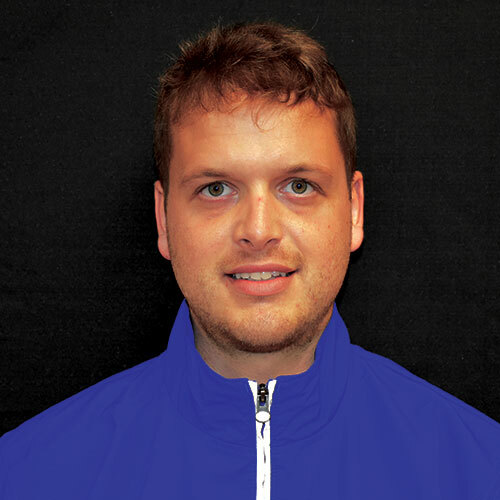 Associations will be given the tools to carry out best practices from Hockey Alberta that relate to supporting your goaltenders from the grassroots level all the way until the graduate from the Minor Hockey system. The Inaugural Goalie Coach Seminar is a great way for goalie coaches to network and learn the creative coaching and association philosophies that can help goaltending in Alberta. 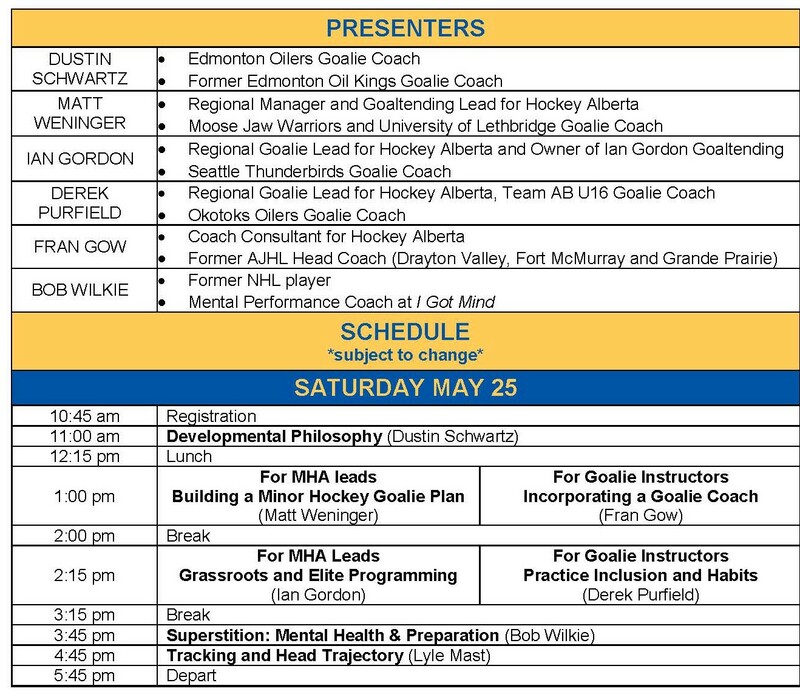 Those in attendance will leave with new knowledge on various programs Hockey Alberta offers across the Province to MHA’s (small & large), and connections to keep the passion and development growing into future seasons. 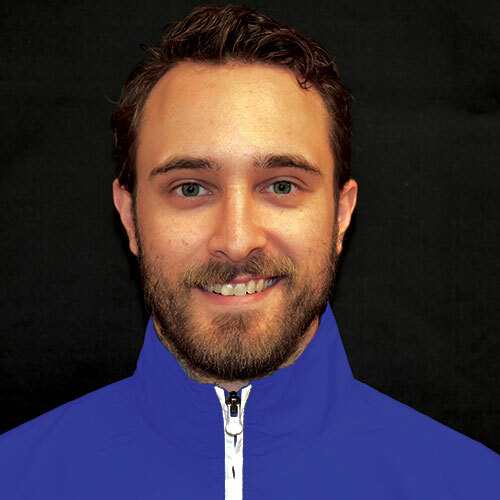 Hockey Alberta is encouraging each association to identify their goalie coach(es) and provide the resources for them to join this opportunity. It’s a great way to grow your MHA, and say thank you to the hardworking volunteers and inspire those who contribute to local hockey. Hockey Alberta is pleased to announce its six Regional Goaltending Leads, as part of the Provincial Goaltender Development Plan. The Goaltending Leads are strategically located around the province, and will work as part of Hockey Alberta’s Regional Centre network. Each Regional Goalie Lead will provide leadership and support to minor hockey associations and Regional Centre Consultants in implementing Hockey Alberta’s Goaltending Development Plan throughout their region. For more information, please contact the appropriate Regional Centre. For more information, please contact Matt Weninger, Manager, Regional Centre South. See below to view available Goaltender Skills Camps. This two-day camp will feature four on ice session and four off ice session geared toward elite goaltenders and focus on techniques, tactics and how to excel at the next level.